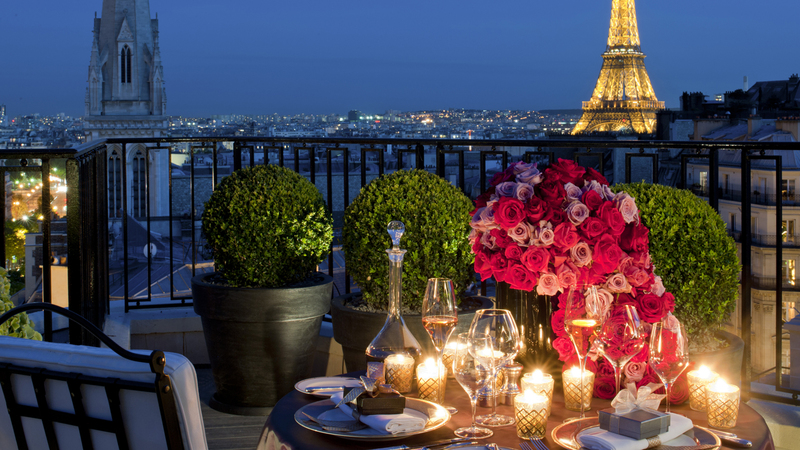 Our perfect idea for Valentine is definitely a trip to Paris where you can wander around with your date at Montmartre and then enjoy some hot chocolate at Angelina's before wrapping it up with a glass of red wine while you admire the Tour Effiel lighting at night. 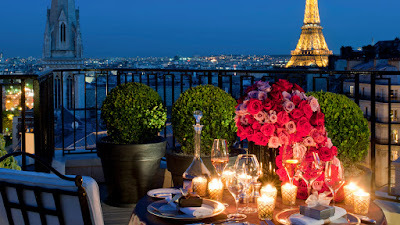 Well back to reality since we are in Beirut and we can enjoy some great restaurant that will make your night memorable. Le Relais de L'Entrecote with only one single platter was able to become a phenomenal restaurant with locations in Paris, Geneva, Beirut, Riyadh, Doha, Dubai and Hong Kong. Simplicity is the best thing about this restaurant as there is no menu to choose from, so there will be no confusion. All you have to do is to choose the cooking of the meat. Price: 45000 LBP the formula. 2. 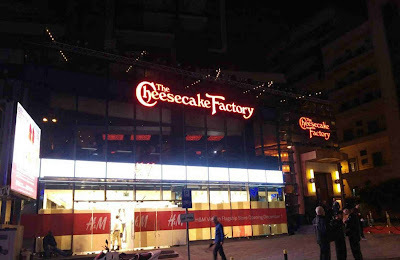 The Cheesecake factory in Verdun is the perfect place for the couples that love casual stuff and don’t like the cheesy restaurants. Dim lights, comfortable seating and a lots of variety from their menu is the reason why it’s one of our tops picks for Valentine. The menu should get the Guinness world record for having the biggest number of items. It offers appetizers, salads, sandwiches, pizzas, specialties, main dishes, smoothies and 28 kinds of Cheesecakes. 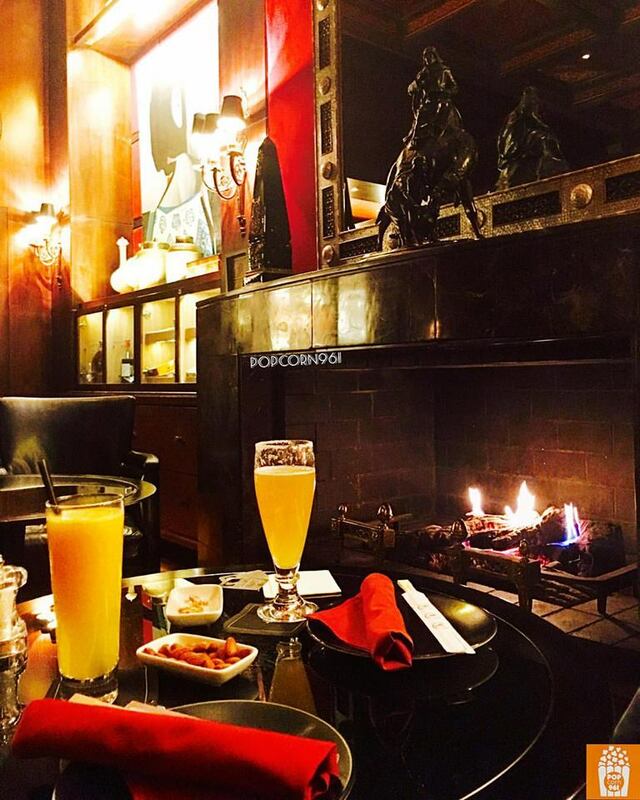 We advise to focus on their appetizers, pizzas, the famous godiva cheesecake and of course the Oreo milkshake. 3. 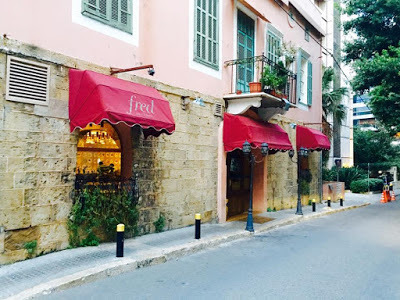 Fred By La Table D'Alfred is a French Bistro in Sursock The restaurant is located in an old villa and is beautifully decorated by painted plates all over the walls. 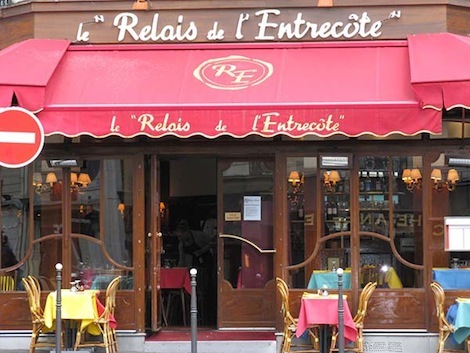 The menu is typically French with appetizers, salads, main plates and desserts. We loved their burger, croquet monseuir and the pain perdu. Average Price: 30$ per person. 4. 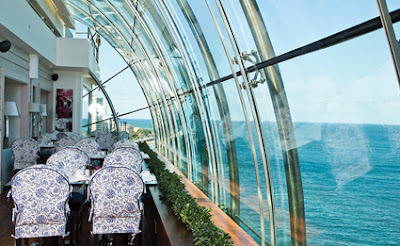 The Grill & Lounge at the Four Seasons Hotel in Beirut is the perfect choice if you love dining next to the chimney with a delicious menu that includes appetizers, salads, mini bites, sandwiches, main platters, sushi and desserts. Don't forget to try their truffle fries and the famous Moe's Tiramisu. 5. Sydney’s in Le Vendome Ain Mreisse is the perfect place if you want to dine with the view of the Mediterranean sea. The menu is varied and you get to choose from burgers, pastas, salads, main platters, and of course their famous desserts.